What is your name and what do you do? 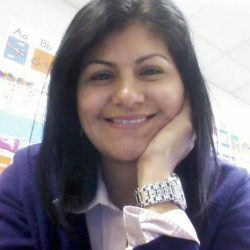 My name is Ms. Sulema Lira and I have been a bilingual elementary teacher in Duncanville for 5 years. What’s your favorite free-time activity? Taking my son and daughter to the Duncanville city parks. What’s something you’re proud of that others might not know about? (e.g. accomplishment, experience, skill) I’m proud of all of my accomplishments in life: graduating college, my 10 year experience in business, my 5 year experience in finance, and my 5 year experience as a bilingual elementary teacher. But most of all, I am proud of my children and the home I have built for them here in Duncanville. How long have you lived in Duncanville? I have been a part of the Duncanville community for 8 years due to employment, but I officially moved here last June. What’s your favorite part of living here? The small town feel in a large metroplex. Also, the school district is pretty great. What’s something that could be improved? Red Bird Mall could use a makeover. What’s a favorite memory of Duncanville that you have? My favorite memory is teaching kindergarten as my son started kindergarten at Fairmeadows Elementary. 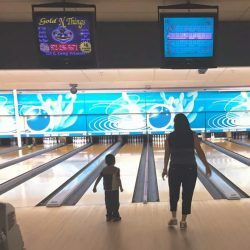 Another favorite memory is bowling at Red Bird Bowling Lanes with my family and friends. My name is Raymoondo Juan Kwatoko Lee. I’m an aspiring motivational speaker and clothing line creator (“MOONDOWEAR”). What’s something you’re proud of that others might not know about? I’m a great communicator with a gift to inspire others to be their best! I’m actually funny too, a lot of people don’t know that about me. My nonprofit, Warriors-Hope & Compassion, hosted a Humanitarian Mission for the Duncanville Police Dept. Jan. 27, 2017. How long have you lived in Duncanville? I’ve lived in Duncanville for 2 years in June. What’s your favorite part of living here? I love the quiet streets, nice neighbors, and the great parks. What’s something that could be improved? We need more police patrols, major department stores nearby, and community activities. More minority representation on the City Council and other civil departments. Lower rental payments on commercial buildings. A Homeless Outreach Mission. What’s a favorite memory of Duncanville that you have? My favorite memory is seeing the faces of appreciation from the Duncanville Police Officers and Chief Robert Brown at the “Thank U 4 Your Service Humanitarian Event” in Jan. 2017. Shaking their hands and telling them how much we appreciate their service to the great Duncanville Community. 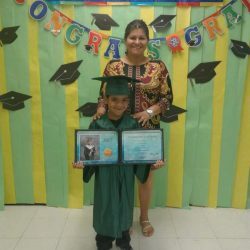 He was four and his sister Glenna was two when his family moved to “the old Pickard place,” just south of Duncanville and outside the Duncanville city limits. It took a while for the adults to make the house livable. The old farmhouse into which they moved was built in the late 1800s and had no water, electricity, or plumbing. The wind blew so hard through the cracks in the wooden-plank walls that it blew the newly installed wallpaper off the walls before it could stick. Bryant remembers sitting under a big pecan tree watching the well being dug and eating a boiled egg. That big pecan tree and old well are still there, on Main Street across from the Fire Station. There were fewer than 1000 people living in Duncanville in 1950, and farms were more common than not. Bryant would go with his father to the Duncanville Feed Store, where I.T. Cawthon would sit and talk with old man Will Daniels by the potbellied stove, drinking coffee, before conducting their business. Although Duncanville had a post office in the middle of downtown, it did not deliver outside of the Duncanville city limits, so the Cawthons received their mail on a rural route out of the Cedar Hill Post Office. They lived up on a hill overlooking South Main Street. Local boys would race between the two bridges on South Main Street at night, because the bridges were just about a quarter-mile apart. The Blue Hole was between the Cawthon land and the Giles land; part of Ten Mile Creek, it was shale and rock, with many ledges under which pyrite could be found. Boys would go there and skinny dip; when the Cawthon family went as a group, I.T. would go ahead of them and run the boys off. Bryant started first grade in 1953 at Central Elementary, in one of the last years in which all 12 grades were housed there. The school playground backed up to the Duncanville Air Force Base, and sometimes a ball would get kicked over the fence; the boys then had to go all the way around the base to the entrance (on Main Street) and ask armed MP guards for permission to retrieve the ball. Bryant was part of the last class (1965) to graduate from the Old Duncanville High School (now Reed). In 1962, the Cawthons sold the farm to a close friend and local developer, Larry Ground. He sold the Old Pickard House and it was relocated to another place in Duncanville, where it is still a residence today. The farm was developed into Dannybrook Estates, named after Larry’s oldest son, Danny. The streets were named for his other children: Linda, Sharon, Larry and Timothy. I.T. Cawthon kept 3 acres at South Main and Danieldale, and built a house at 1443 South Main for his family. Several years later this house became Hanging Gardens, which was demolished (by court order) in January. I.T. Cawthon served as the Duncanville Mayor from 1966 to 1969 and was a City Councilman from 1962 to 1965.
remembers a town where everybody knew everyone, the skating rink her daddy owned was almost the only entertainment in town, and 69 of the 169 students in her graduating class had attended school together since first grade. Little D Roller Rink on Wheatland Road near Cockrell Hill was virtually the only entertainment in town until the late 60s, when the bowling alley was built. Skaters of all ages attended, and many romances bloomed there; “only parents were allowed to sit and watch.” Admission was $.50 with an extra $.25 for skate rental, and the rink also hosted many church and birthday parties. Becky remembers: “The rink was a converted tin quonset hut, no air conditioning, just 2 big exhaust fans at the end opposite from the entrance. My folks owned it from spring ’58 through sprint ’66, “modernizing” it from clamp-on to shoe skates, adding overhead insulation, and changing from wooden half-walls around the floor to a single metal pipe about 4′ high. Nothing fancy, just a safe place for some good clean fun. (Nobody used the word “exercise”, but a Weight Watchers group skated there for a few years during the daytime while their kids were in school).” Becky’s dad loved when boys who grew up at the rink would come back and see him while on leave from the armed forces. The Duncanville Public Library is looking for current and former Duncanville residents and City employees that would like to share their personal story with the community via a collection of mini-interviews to be published throughout the City’s communication channels. Inspired by Humans of New York, the Library hopes to capture and preserve the history, personality, and diversity of the community. Individuals from all religions, ethnicities, and ages are encouraged to participate free of charge. Interested persons should contact the Library’s Technical Services Librarian at 972-780-5097 or by email at holsen@ci.duncanville.tx.us. Read more about the history of Duncanville. You can read the first interview here!